There are many questions to ask before you part with your cash on a car. Here at the advertiser.ie we give you the top tips to follow when purchasing a new ride. Set yourself a strict budget based on what you can afford and do not deviate. There may be a car that is calling your name but may be a couple of grand too much. It is not worth the misery of debt. Also it is important to remember that the purchase price is the start. There are ongoing costs like fuel, insurance, and tax that you must factor into your budget. However, if you do not want to spend too much on your new acquisition why not have a look at a second hand vehicle as a year old car can be up to 27 per cent cheaper than a new model. Something that a lot of drivers buying a new car forget is the period in which the purchase can affect the price. If there is a new model about to be launched, there is a strong chance that there will be a number of cheaper trade-ins available at the car dealership. Another important point to remember is that car salespeople and car dealers receive bonuses for reaching a target every month. Visiting a car dealership towards the end of the month may well pay off for your pocket as the dealer may well want to strike a deal with you if the quota has not been achieved. It is well known that trading in your old car for the new purchase will lighten the blow on the bank account. However, before you play your trump card make sure to look online for similar models and visit a few car dealerships to get a good idea of the price you would get if you were only selling. When trading in do not let the dealer know the plan straight off the bat. Find out how much the car would cost if you had no trade-in. Then ask what price you would pay for the car if you trade in your current one. The difference between both prices will tell you the value the dealer is placing on your trade-in. There is also no harm in bringing along maintenance records of your old car. Might save you a few euro as well. It is highly advisable to check the history of the car before handing over your money, no matter how trustworthy the seller may seem. These checks uncover if the vehicle was ever written off, used as a taxi, or was involved in crashes. There are a number of companies online which can check the history of a car for a fee. It is well worth it for peace of mind. The seller of a car should have no problem with you taking the car for a test drive. It is a vital part of the purchasing process as a test drive can reveal problems. Some handy test drive tips are; testing the handbrake on a hill; keep the radio off so you can listen to any irregular noises coming from the engine; and see if the gear stick changes smoothly and does not slip. So that is it. 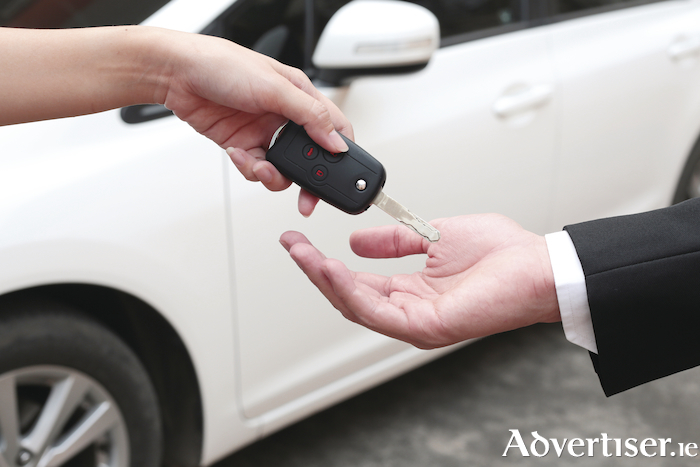 The advertiser.ie's top tips for buying a new car. Get buying and driving.